Succeeding in business in this tough economy is a challenge for most business owners. Entrepreneur Tariq Farid is tackling this head on, not just for himself, but on behalf of the nearly 900 franchisees in his Edible Arrangements franchise system. Farid’s efforts have not gone unnoticed; the International Franchise Association just named him its “Entrepreneur of the Year” for 2009. Farid is used to tough challenges. He came to America from Pakistan with his family when he was 11. Working at McDonald’s as a teenager, Farid was impressed by the company’s systematic approach to business. At 17, he borrowed $5,000 from his parents and bought a local flower shop in East Haven, Connecticut. Two years later he had four flower shops. Being a bit of a computer geek, he soon realized the retail floral industry needed better systems, so he started a company distributing computer software to flower shop owners. 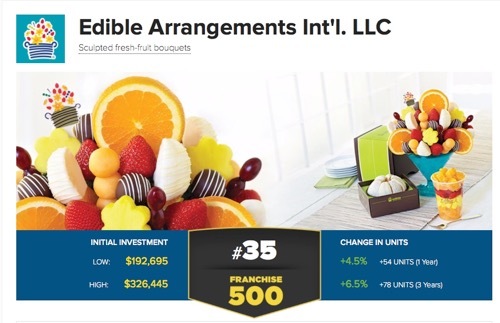 Another possible challenge to the system’s continued growth in this current economic climate is the fact that Edible Arrangements franchises are required to have retail storefronts, which adds to the upfront startup costs for potential franchisees. But, Farid sees a positive side to the recession as well, since lowered real estate costs can make units less expensive to open. For more information on the company, visit the Edible Arrangements Website . **Rieva Lesonsky is CEO of GrowBiz Media (www.growbizmedia.com), a content and consulting company that helps entrepreneurs start and grow their businesses.